DomainsBot DomainsBot, is a name suggestion tool for domain names. Rather, it is what a name suggestion tool *ought* to be: intuitively able to learn from user queries, easy to use, free, and very addictive. Better-Whois Is exactly that. 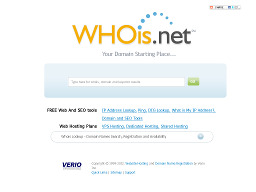 A more accurate version of the standard WHOIS domain search still used on thousands of web sites. Better-Whois lookups domains in a shared domain registry, locates which registrar has reserved the name and visits and queries that registrar's database for the correct information. A useful site for domain hunters and checkers. Domain-It! Provides Internet users with a fast and efficient means to conduct all of their domain name management business. The site has a wealth of information, resources and tools related to domains, hosting, business, email and much more. 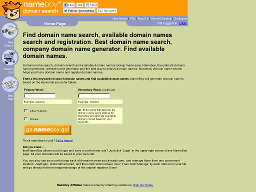 NameBoy.com A handy service that can quickly provide available domain names for your chosen keywords. A real time server for anyone trying to find the ideal domain name. 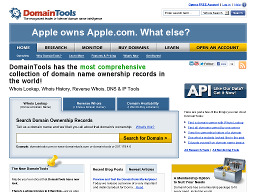 DomainTools.com A popular site with a number of useful domain tools, including search and suggestion tools. Also, has domain auctions, a domain directory, etc. JustDropped.com A handy site if you're looking for good domain names that have expired or are about to expire. Registration required. Sedo.com A global marketplace for buying and selling domain names and websites. Over 3 million high-quality domain names in a searchable databse. DNJournal.com A domain news resource. 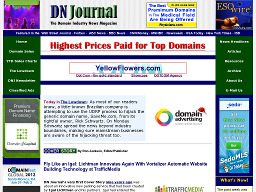 Almost everything you might want to know about domains can be found at this site. Worth a visit and a bookmark. 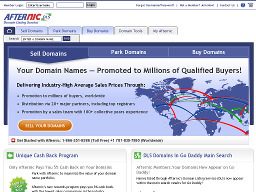 Afternic.com A popular domain auction site with a large database of listings. Members can search for domain names, use the appraisal service to determine market value, negotiate deals and close transactions securely with Afternic's DNEscrow service. CheckPageRank.net Provides useful reports for domain names, including Pagerank, link popularity, a major directory inclusion report as well as domain age and history. 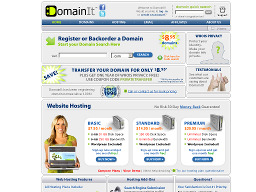 DomainInformer.com Provides a wealth of useful information and tools related to domains. Definitely worth a visit. 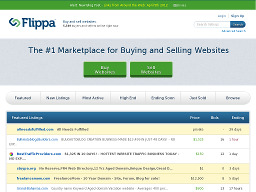 Flippa A unique auction-based marketplace for buying and selling websites. Buyers have access to comprehensive information on established websites and online businesses for sale; sellers can connect with a large audience of interested and informed buyers looking for good prices and premium websites. 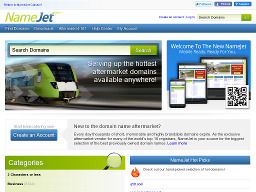 NameJet Monitors domain name pre-releases and registry drop lists. Daily updates allow domain professionals, businesses, and individuals to acquire domain names and those that just expired. The easy-to-use interface makes it simple to track and manage the domain names you want. 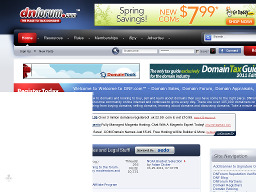 DNforum.com An on-line forum, offering free registration, dedicated to all aspects of domain registration such as sale, auction, purchase, brokerage, appraisal, etc..
WhoIs.net Provides a helpful domain-based search service. Find available, deleted, on hold domains or data for registered domains in seconds.